This week’s auto-biographies concern stalling (for time), van mail, age discrimination, slipping gears, rental arithmetic, navigational errors and much more to invigorate, elucidate and entertain. I received an update from Skoda UK yesterday morning about the EA189 recall programme. In summary, an apology for delays in the modifications but otherwise no dates yet. The original roll-out for the mod was March for the 140PS diesel and the only compensation offered was a wash and vacuum. I suspect they are having major problems in solving the issue without loss of performance. Further information on NOx topic at www.skoda.co.uk/dieselinfo, which implies it could take until October to implement a fix. Over 131,000 Skoda vehicles are affected. Many thanks. Have put into carbycar. We just don't get that kind of information from manufacturers because it’s considered negative. Interestingly, the latest EA288 VAG diesel engines from 2013 onwards have independently tested to have the lowest NOx of all. Do you know if there are any safety issues with the rear seats or their mountings in the second generation Nissan ElGrand? Some Australian forums mention import regulations that would make me avoid these MPVs for this reason when they would otherwise seem desirable on other levels. Why is there no European equivalent, I wonder? Thank you also for the insights, expertise and research. Depends how old it is. Most of these vehicles are Jap Scrap exported to other RHD countries when it would not make economic sense to spend the necessary money to get them through their Shaken tests. But when they are bought at auction in Japan they come complete with a very comprehensive condition report (in Japanese, of course). Importers may or may not reveal that to potential UK purchasers. And on top of that, unless they are hybrids, they can be hit with very high emissions based UK tax. There is a new range of Peugeot, Citroen and Toyota van-based 8-seater MPVs in three lengths. I am proud to claim an exemplary driving history: never any trouble with the law in 61 years on the road, live in a rural area, use a lockable attached garage, have passed an IAM advanced driver test, have no medical conditions: all the supposed attributes. My only apparent crime is passing into the eighties, yet my insurance quotation has risen over 25% in the past year and over 40% in two years. Is that really justified? Is one year difference ageing from 79 to 80 so vastly more important than driving record? All quotations are similar or worse, though many insurers claim that age is not a factor. Perhaps you may wish to comment - as pithy as you like. It's based on average underwriting statistics. No matter how good a driver a 17 year old is he is still penalised for being 17 on the basis of statistics. The same applies to the over 80s and will apply to me in the not too distant future, assuming I last that long. My 2005 VW Passat automatic slips out of gear momentarily each time I drive it. It doesn't change down gears, just slips. Could you advise on the solution and how much it should cost to put right? In that case it's a DSG, most likely a 6-speed. The fault is most obviously the eventual failure of the clutch pack. The 6-speed is anyway a maintenance box that requires a change of fluid and filter every 4 years. If you don't want to go to a VW garage, go to a member of http://www.fedauto.co.uk/ Lucky to get it fixed for less than £1,000. When I retired 14 years ago I continued to use my ex-company car: a Volvo V70, which I bought. When it became too expensive to sensibly keep I went into a PCP type lease of a number of small cars until I settled on a Corsa 3 years ago, but having this on a 5-year Vauxhall HP 0% interest deal. The Corsa is now 3 years old with 30k on the clock and seems to be worth almost exactly what remains to be paid. That's no problem, but all it proves is that what I pay monthly is about what it costs to have a decent car to drive. I pay £255 a month for this car. What is best way to forward? HP, lease, or something else? I read an advertisement by Hertz: "hire a car for a five day term and buy it if you like it, or pay the five day hire and hand it back.” Is this worth a try? Are the terms they offer reasonable? Are they the only company who do it? I am not averse to a second-hand car as long as it is up to date and in perfect order, which I assume is the case with a top company hire car. I expect to stay in the Corsa/Fabia/Fiesta or similar price area, presumably the area that the hire companies operate in. Would welcome you thoughts? I have almost no feedback on 'Hertz Rent to Buy', even though it seems like a good idea by enabling you to try before you buy. I attempted to buy my 110k-kilometre hire car from Avis in Thailand last year and they couldn't understand what I wanted, so I simply had to buy second-hand from a dealer. Most current private new car deals are now on a PCP and around 80% are in the USA. You may or may not pay a deposit, you make a monthly payment that pays off roughly half the capital on the car and all of the interest. Then, after 3, 4 or 5 years you have the option of handing the car back undamaged, paying the 'Guaranteed Future Value' pre-agreed bubble, or doing another deal with the dealer using any equity left in the car. I have a BMW X3 and sometimes am unable to insert certain postcodes. I phoned the BMW dealer who sold it to me when new to see if there was an update for the satnav to solve the problem. I was told there was and it would cost £129 plus VAT and could take from 20 minutes to 4 hours to install, depending on how long it took BMW to send the code. Shouldn't updates be FoC? With some cars that use Garmin or TomTom based systems they are free. With others, they aren't. German manufacturers typically 'know better' and devise their own systems that aren't compatible with the rest of the World (especially the Mac World). This even descends to the way they supply press information. Nissan’s SD card satnav isn't very good on updates either. We hear much about the disadvantages of diesel: problems with Diesel Particulate Filters and Dual Mass Flywheels. Are there any mechanical problems with petrol engines or indeed any others? Good idea to go to a Jetwash and give the car a second spray underneath yourself. That's what I had to do after they put my car in the leaky bows of a ferry to cross the North Sea to Holland. I have a 24-year old car that has been covered on an agreed value insurance since last September, but I'm never sure if its valuation is enough to cover replacement if needed. So my question is, if market prices are moving, am I better off sticking with market rates insurance rather than an agreed value? I guess it depends on what ‘market rate’ means. If it means the insurance will cover replacement of the vehicle like for like, then why do I need an agreed value? Or does it mean they will pay out as little as possible, which could be very low for a 24-year old car? As far as I know, the only way to cover a 'classic' car is on an agreed value basis and this would be especially true of a marginal classic such as a 24 year old Ford, the 'classic values' of which have recently shot up, but if on 'market rates' the underwriter could write it down as simply a worthless old car. You could probably find a classic insurer who would allow you to increase the 'agreed' value every 6 months. In 1965, my elderly father drove an old, clapped-out but reliable Ford Popular: CPX 404. He is eager to learn what became of the car. I have received a parking ticket through work and I feel it is totally unjustified. I stopped at Lidl to get a bite to eat for dinner and some stuff for the weekend. I cannot find my receipt and the signage in the car park was absolutely terrible. I am a signs supervisor for CVU so I know quite a lot with regards to signage and I can honestly say the 10 minute stay was not visible anywhere and I feel this is truly a disgrace. Can you please advise on my next steps, as I cannot find a number to ring anywhere? I traded up my old Rover 75 Connoisseur, which we loved, to a 2011 Jaguar XF Luxury. We find the seats quite uncomfy (and not heated), and a much longer car, and now miss our old Rover. Any suggestions for a replacement? 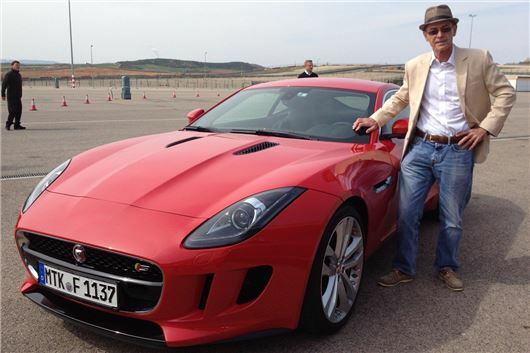 If the Jaguar is not already running on 17-inch wheels, fit them and deeper profile tyres. Or try a Honda CR-V on 17-inch or 18-inch wheels. That's nice and soft and absorbent with very comfy seats. I'm looking for a car to fit in a narrow driveway (walls either side). It takes a MINI Cooper but not much wider than that. Length isn't an issue. I need to be able to fit 3 baby seats in the car. Anything you can suggest? If you mean three baby seats side by side, it can't be done. That requires three full sized seats, so cars such as an S-Max, Picasso, 5008, etc. which are too wide. Narrower cars such as a C-Max cannot take three baby seats across. A MINI Cooper R56 is 1,683mm mirrors folded and 1,913mm mirrors out. A Toyotas Prius Plus 7-seater is 1,775mm mirrors folded; a Toyota Verso is 1,790mm mirrors folded; a Ford Grand C-Max is 1,828mm mirrors folded; 2,067mm mirrors out; a Mazda 5 is the same width as the C-Max (same floorpan). But I worry that even if you can get one of these 7-seaters into your driveway you're going to injure your back strapping one of the toddlers into a rearmost seat. I bought a new Audi A7 quattro and after 2,600 miles whilst driving at 60mph on a open A road with no overhead obstacles or other traffic, my sunroof exploded out of the car. It was like a shotgun going off. Audi recovered the car but refused to fix the sunroof under warranty, saying glass was not covered and a foreign object must have caused it. I did not see anything hit it, so had to claim through my insurance as there was £6,000 of damage caused by the glass, leaving me £500 out of pocket for the excess. Since then I have heard lots of rumours about cars with 21-inch low profile alloys having this problem and some manufacturers like Volvo will not sell this option. Can I ask if you have any advice I can follow, or should this have been a warranty claim? I had my windscreen wipers replaced at Halfords, but when I took my car to the dealer for its MoT a couple of months later I was told that I would have to have them replaced or the car would fail. I could see no problem with them. What do you think was going on here? I live some distance from the nearest dealer and it would be inconvenient to have to go there every time I need something small like new wiper blades. I can't tell you. But, assuming the Halfords wipers clear the screen without smearing, I suggest you ask the dealer to put in writing why they will fail the MoT, and that will get to the bottom of the matter. An elderly man wants to sell his 1971 Morris Traveller, which has passed all MoTs. What do you advise him to do? 1971 was the last year of the Morris Minor Traveller. If it's in perfect condition and particularly the wood (because it's structural and any rot in the wood is an MoT failure), his best bet is a classic car auction such as http://www.historics.co.uk; H&H; Classic Car Auctions; Brightwells, Anglia Car Auctions, etc. Cars more than 40 years old are classed as ‘Historic Vehicle’ and are annual tax exempt from the April following their 40th year. I've just had my VW Polo MoT tested by the VW dealer who supplied it. During the test the front offside tyre was found to be defective, with cord showing through on the inside edge. The tyre was replaced and the MoT granted. As dealer couldn't check the tracking, I took it to a tyre supplier who could. Whilst they were doing it they discovered that the track rods were not equal. Instead of having equal amount of thread on the left and right, the ride side had no thread showing, while the left had quite a lot. I have been in touch with the VW dealer, who has now confirmed that back in 2013 the offside wheel was damaged and replaced. Is it possible that the track rods were at that time adjusted to perhaps compensate for other damage? I am waiting to hear from the VW dealer with regards them looking at the car to determine what to do. I hope it’s repairable, if so who should pay? I have a 2002 VW Golf 1.6 with 66,000 miles on the clock. It has been serviced annually by a reputable garage. At the service in November 2005 the cambelt was changed; something that apparently is done after three years. However, last November when I took the car for servicing, I asked the mechanic about the cambelt, saying I thought it strange it was changed after the first three years and then not since that date. He said he would check it. When I collected my car, the mechanic told me to bring it back in the New Year and they would change the cambelt, but to date I have not done so. My question is: when is the right time to have a cambelt changed and would they have asked me to bring the car back for cambelt change if I had never asked about it? The car is in good condition and I intend to keep it as long as it doesn't start to cost me as much for repairs as the value of the car, and I believe if the cambelt 'goes' repairs can be very expensive. On this model Golf, every 4 years and 60,000 miles whichever comes first. This time it needs a timing belt tensioner and waterpump at the same time. The belt was changed after 3 years because VAG had stupidly switched to nylon timing belt tensioners that could fail without warning, so that will have been changed for a more robust tensioner at the same time. Late yesterday evening my wife and I arrived back in the UK at Stansted airport. We had arranged with our son that he would pick us up outside the terminal building. Our flight was 15mins delayed in arriving, hence we were late meeting our son. As our car arrived at the exit barrier, the machine flashed up the charge: £50. I assumed that there must have been some mistake, so checking with a roaming attendant, he informed me that the £50 charge was because my son had exceeded the 10 minutes allowed for pick up. For stopping up to 10 minutes, the charge would have been £3. This, to me, seems crazy. Stop for 10 minutes: £3. Stop for 11 minutes: £50. What made it even more galling was that in an adjacent booth four young women, in exactly the same situation as us, were allowed through by the attendant for £3, because they said that was all the money they had. Do I have any recourse to a refund in this situation, or do I have to write it off as another incidence of money grabbing parking companies? Outrageous. The problem was he used the instant pick-up carpark instead of the adjacent carparks. But, if it was inadequately signed, the way to bring attention to this rip-off is to take Stansted Airport Parking to the Small Claims track of the County Court and attempt to sue for a refund. Pretty much the same situation exists at a lot of airports, so some small claims rulings would be welcome.